Sitting high above the Mediterranean Ocean on the edge of a cliff, watching the waves role in while contemplating life, I decided I wanted to wander the world freely and independently with everything I needed in a backpack. All I needed was somewhere to walk, a trail that would take me on a journey for multiple months, exposing me to different environments, climates and scenery I’d never witnessed before. I’d heard about a pathway that ran all the way from the border of Mexico, up through the United States into Manning Park, British Columbia. It was called the Pacific Crest Trail (PCT), featured recently in the movie ‘Wild’ starring Reese Witherspoon. Most people thought it was a ridiculous idea. I’d never owned a tent or spent a night in the wilderness alone. But this simply meant I had four months to learn everything I could about the PCT and thru hiking the trail. I would need to purchase and test my gear, get my body into shape and plan my food for 6 months, before setting off to conquer my dream. In April 2013 I set off to walk the entire distance of the trail, 2,663 miles, from south to north. I hiked through the Mojave Desert, battled 70mph wind storms, swarms of mosquitos, crossed the Sierra Nevada at altitudes reaching 13,000 feet, had encounters with bears, a face to face stand off with a mountain lion, endured blisters, nerve damage in my leg and suffered severe snow storms throughout the Northern Cascades, before reaching Canada 174 days later on October 9. In the lead up and during my journey, I kept an online journal that attracted 46,000 visitors from over 100 countries exceeding 350,000 views. 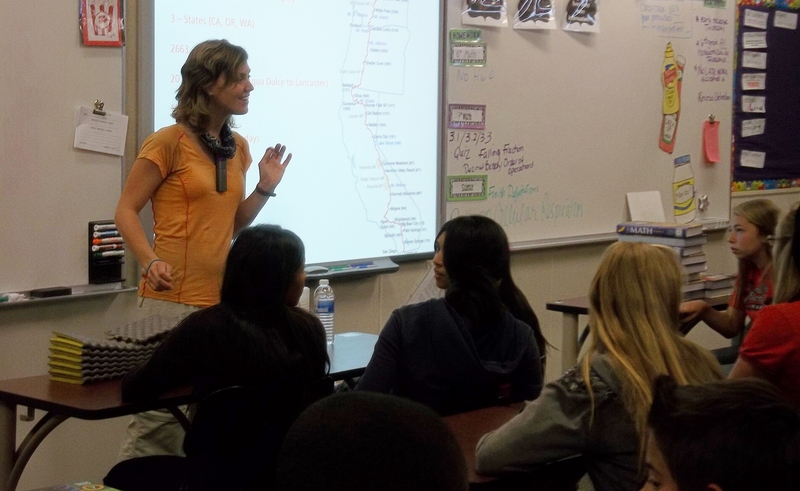 One of my followers named Judi was a middle school counsellor in the Aqua Dulce, California area, who used my stories and videos in her character education lessons to teach her students about goals (academic and personal), accomplishments, personal grit, pain, challenge, triumph and accomplishment. When I completed the trail I visited three of Judi’s schools, presenting to over 500 students, parents and staff. It was Judi’s influence that inspired me to share my story with the next generation of young people and discover my passion for motivational speaking. There is no greater gift than seeing the eyes of a child open with fascination, wonder and drive. 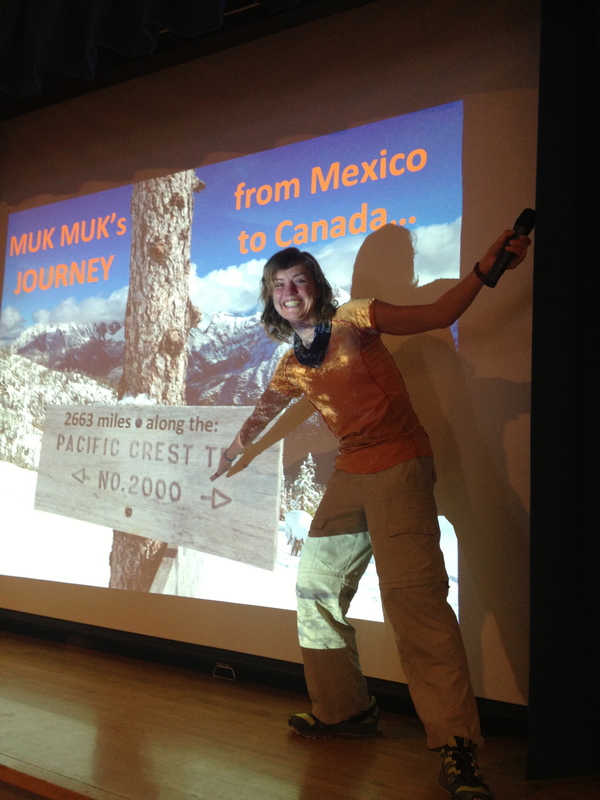 I have also presented to over 200 students in Australia and have conducted multiple presentations to outdoor enthusiasts about my journey along the trail.